The B-Wing is my favourite starfighter from the OT so I decided to do a custom B-Wing pilot design (since Lego never bothered!). 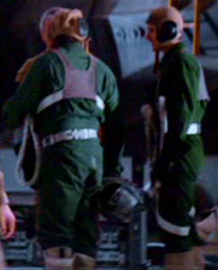 I think its pretty accurate to the flightsuit Ten Nunb and the other B-Wing pilots wear in RotJ. I also tried my hand at a Rebel General design for General Madine and Lando Calrissian. I have been collecting Dark Tan minifigs which I feel match the colour of the Generals' uniforms best. Hopefully I'll get these printed onto Waterslide decals soon. My test prints on plain paper have been pretty good so far , but I need to tweak the colours a bit. Great work all around! 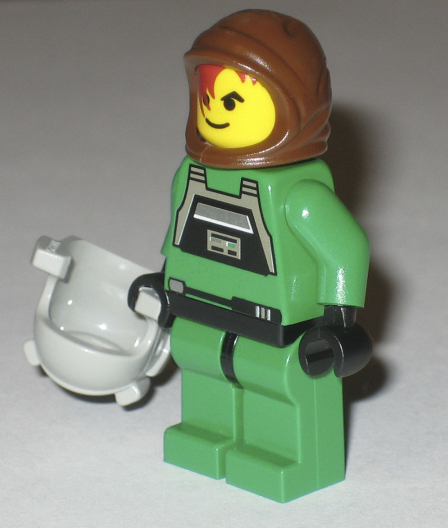 I particularly love that B-Wing flight suit. Great alternative to the regular flight suit. Well done! I need to tweak the colours a bit before I print onto decal paper, but otherwise I am quite pleased with the outcome. Seeing the Madine and Lando on the dark tan torso, I must say it does look much better this way. I made mine using the regular tan and I thought it was fine until I saw yours. Great idea. The B-wing torso is looking good too. I might need to borrow your design for some B-wing pilots. Yeah, I really like the dark tan torso, as it almost perfectly matches Madine's uniform in 'RotJ'. I think dark tan would also look great in a Mace Windu minfig. I just wish Lego would produce more of them! As for my designs, I am using the vector drawing program Microsoft Expression 3 to create them (a free download from Microsoft!). I scanned a selection of minfig torsos at 2400dpi to use as reference. The Imperial Officer was a simple trace of the original design and I plan to alter the rank plaques. For General Madine I simply altered the Imperial Officer design - changed the shape of the belt buckle, added the rebel rank insignia, added the collar, etc. For my B-Wing pilot design I used my Ten Nunb Hasbro action figure and screen captures from 'RotJ' as references. If anybody wants a copy of my designs to print out, send me a PM! Just remember to give me credit on any pics! Just added a leather flying helmet to an A-Wing pilot. This is what they wear under their metal flight helmets. What do you think? It is made from a Farmer's Cowl which I trimmed with an X-acto knife.